Can you tell I’ve been spending a lot of time outdoors lately? I sure have enjoyed giving my yard a makeover this spring. 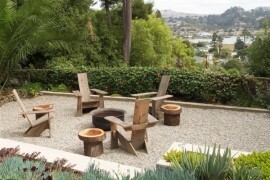 Kate here, and if you read my last post on modern xeriscaping ideas, you know how a dose of gravel and a few new plants can add another dimension to your outdoor space! But why stop there? 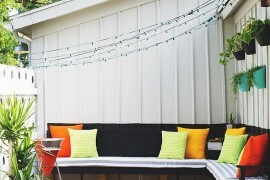 Once you get going, you just might be inspired to continue beautifying your yard. Working with a limited budget? No problem! 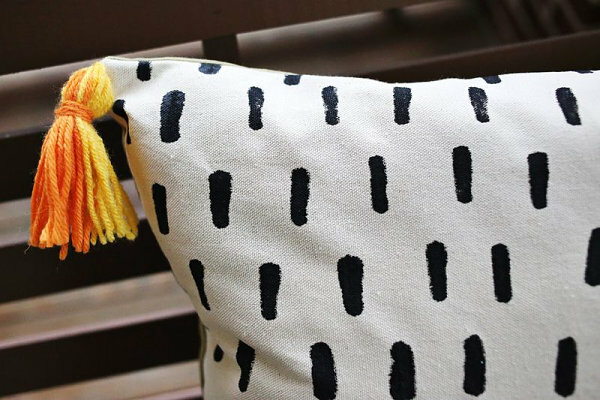 Consider creating some finishing touches by getting into the DIY spirit. 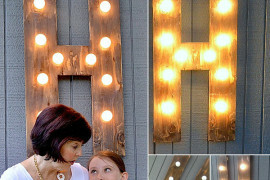 On that note, today I’ve rounded up a collection of gorgeous outdoor DIY projects. Not only do they represent the best in modern style, they are super affordable, often involving a few inexpensive supplies from the home improvement store. I hope you find these projects to be as inspiring as I have. Happy spring! 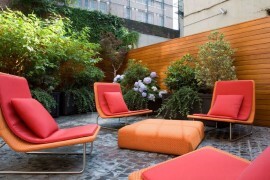 There’s no getting around it folks: outdoor furniture can be expensive! I’ve put off buying a bench for my front patio for more than a year, largely because of the cost. But now I’m ready to take matters into my own hands, thanks to the magic of cinder blocks. In fact, a recent post titled “How to Make Mod, Stackable Sculptures with Cinder Blocks” from The Horticult has made me view these affordable blocks in a whole new light. Use them to create a table, as shown below, or craft some sculptural formations for your patio. 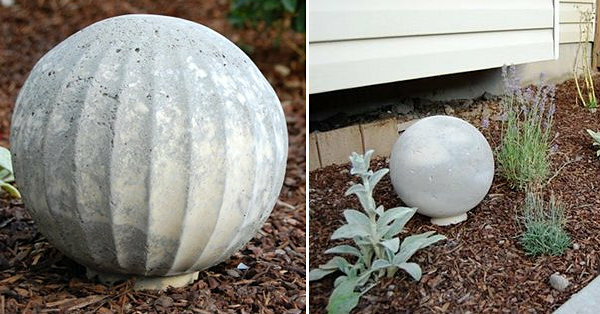 Head on over to The Horticult for more information, including the benefit of painting these porous building materials. We all know that wire decor is one of today’s hottest trends. 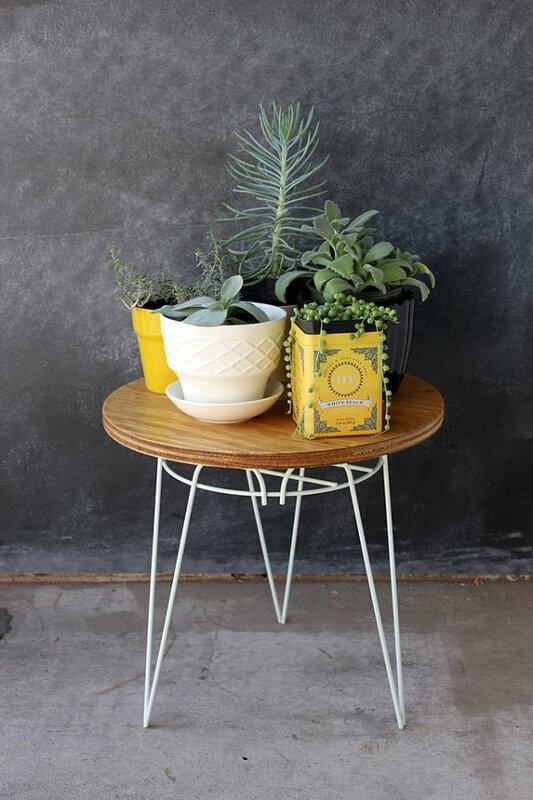 Repurpose an old plant stand into the base of a table with the help of this Plant Stand to End Table DIY. Some spray paint and a round cut of wood help get the job done. For a full tutorial, head on over to Smile and Wave (where you’ll also learn that the plant stand used to make the table in the picture below was actually found in an alley)! 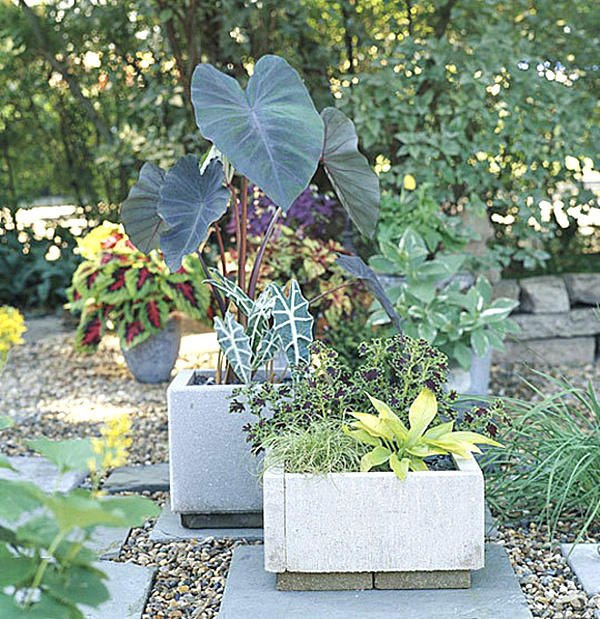 It’s rare to find a decent-sized modern outdoor planter for less than $50. If you’re looking to buy more than one, get ready to open your wallet! But if you’re willing to make your own pots and planters, you can get more for less. Much more! 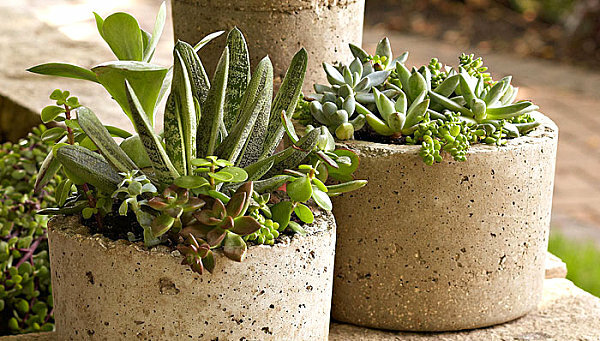 Learn how to craft these Hypertufa Pots from an easy-to-follow Lowe’s tutorial, which will guide you through the steps of this DIY project. The materials of choice: Portland cement, perlite (or vermiculite) and water. 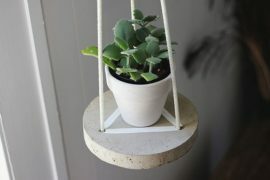 No mixing and stirring are involved in this next project, a DIY Modern Concrete Planter from Curbly. 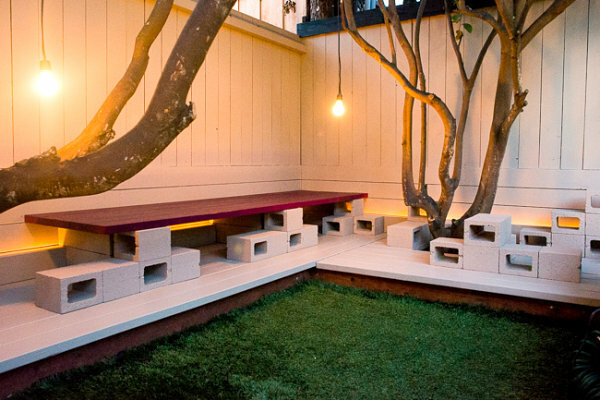 A few pavers and some landscape-block adhesive get the job done in style. The end result is sleek, modern and versatile. I have a trellis in my backyard that I absolutely love. The sides are covered in jasmine, but the middle is empty, and I’ve been searching for a way to embellish it. I think I’ve just found the solution, thanks to this DIY gutter garden from Ouch Flower. Paint the guttering the color of your choice, drill holes for drainage and fill the container with plants. 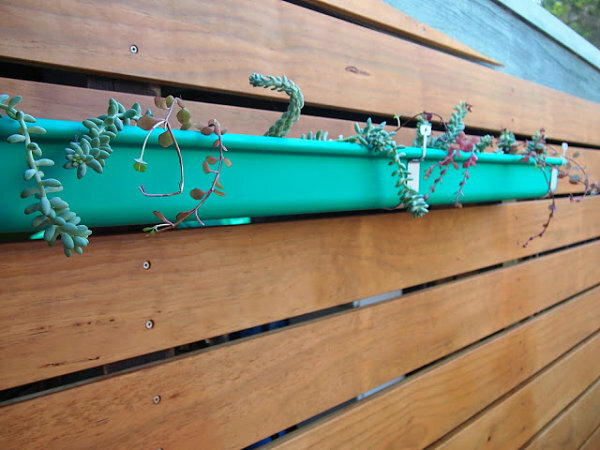 The best part: you can attach this repurposed gutter garden to the wall (or trellis), creating a floating planter! Got paint and cording? 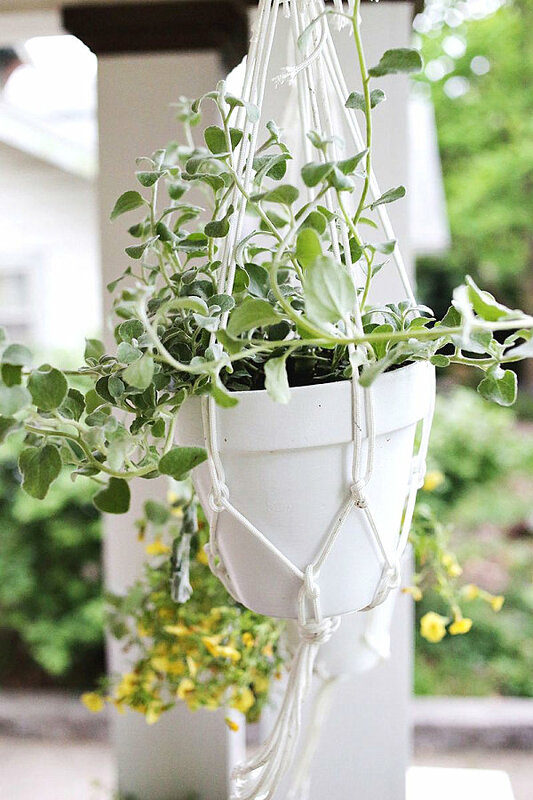 Create your own Hanging Planter from a simple terra cotta pot. The knotted cord that surrounds the pot is easier to craft than you might think. A tutorial can be found at A Beautiful Mess, where you will also be guided to Enjoy It for more details on knotting the cord. 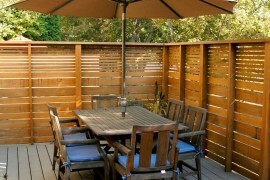 With furniture and planters in place, you can wrap up your spring yard makeover with a few accessories. 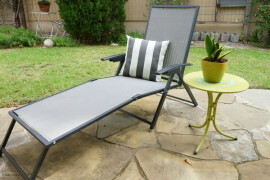 This “icing on the cake” is often neglected, especially since budgets tend to run thin at this point and items such as outdoor pillows are seen as extras. 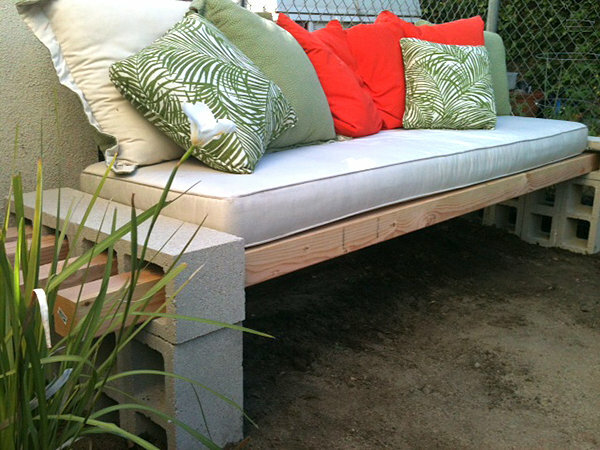 With this last group of money-saving DIY projects, you can have it all. With a simple durable rug and some spray paint and masking tape, you can create a modern outdoor rug on a budget by painting your own design. 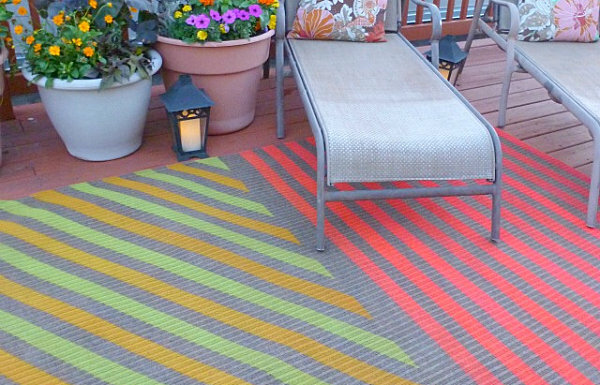 In fact, this DIY Outdoor Rug from Design Improvised was made for under $50! 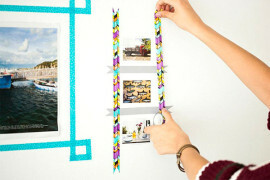 Will you be trying any of today’s featured DIY projects? I plan to tackle a few of them this spring to embellish my yard. When it comes to the outdoors, once you get started on beautifying your space, it’s hard to stop… Good thing you can create a gorgeous yard on a budget!